Welcome to Wedding Pong! 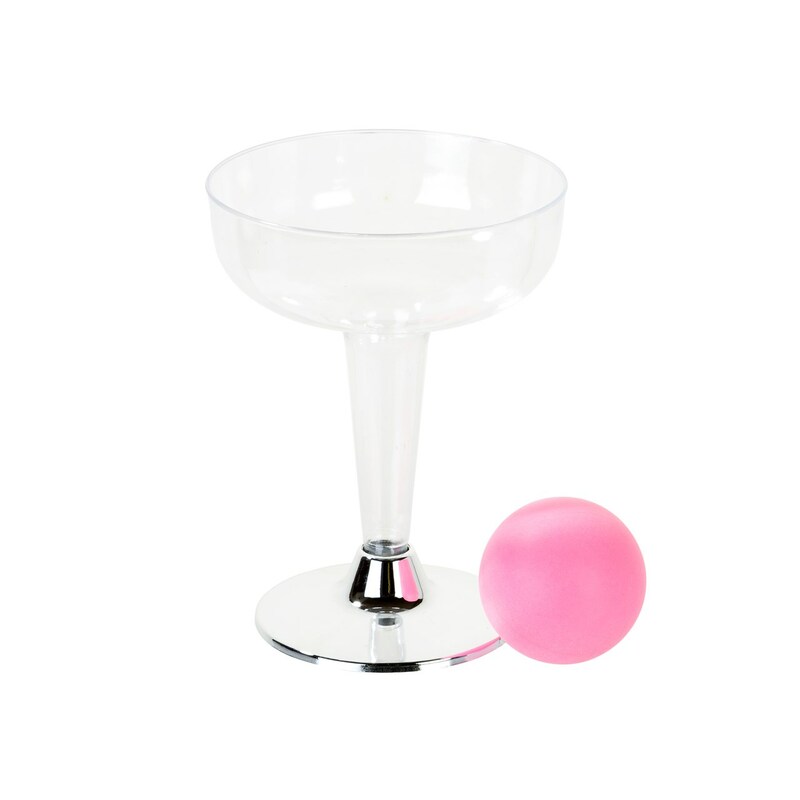 Add a touch of fun and fizz with this classy take on the popular party game. 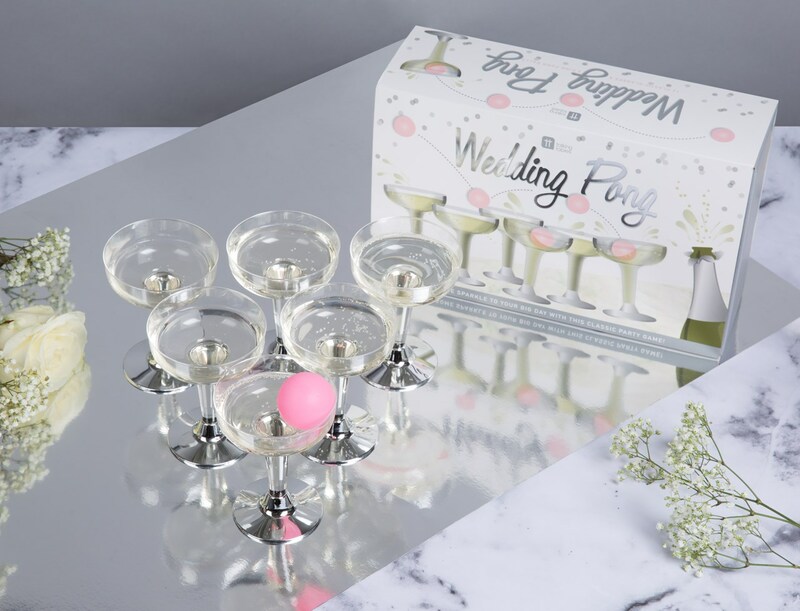 Perfect for any engagement, wedding or hen party! Here are the rules - place 6 glasses on either end of the table and divide into two teams. Take it in turns to bounce a ball into the glasses of the opposing team. If the ball lands, they drink! First team to clear their opponents glasses wins. 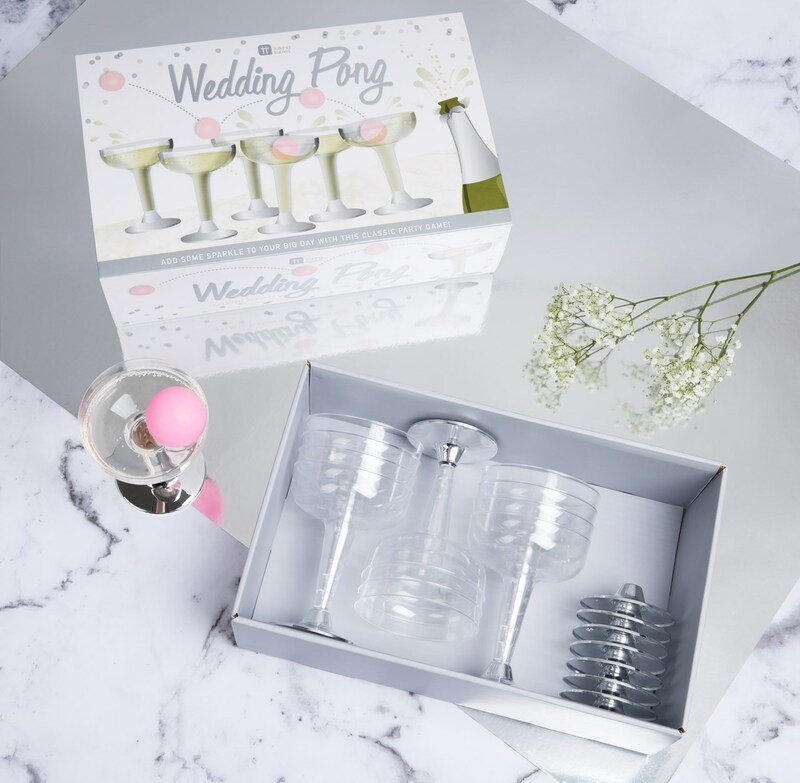 This is guaranteed laughs and the perfect gift for a friend on her special day.